From vegetable oils to starches, these biodegradeable fuel sources are seen as environmentally friendly ways to power vehicles, heat homes, and cook food. 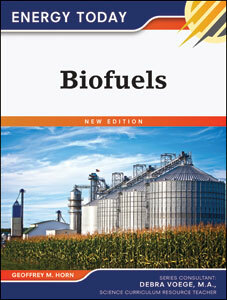 Biofuels, New Edition discusses different types of biofuels, the science behind their production, their environmental impacts, and possible future uses. Vivid full-color photographs and illustrations bring the topic to life, and this eBook's handy features include a glossary and a list for further reading, making it valuable for research. Geoffrey M. Horn has written more than four dozen books for young people and adults, along with hundreds of articles for encyclopedias and other works. He dedicated this book to Alan, Jonas, Colm, and Sarah Scott-Gleiner.